Plochmann Lane: Motown's 50th Anniversary. 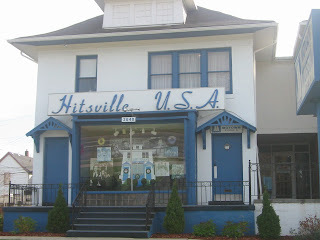 It was 50-yrs ago yesterday that Motown founder Berry Gordy borrowed on an $800.00 loan to begin this great music genre. Cavern Club opened 52 yrs ago. Happy b'day to the late Ronnie Van Zant! New World Cooking expanding to Albany, NY. Steven Tyler interview on Elle.com. Jim Weider free live performance download. Fender Stratocaster marketing legend passes away. New "Rick Danko" facebook page by Carol Caffin.